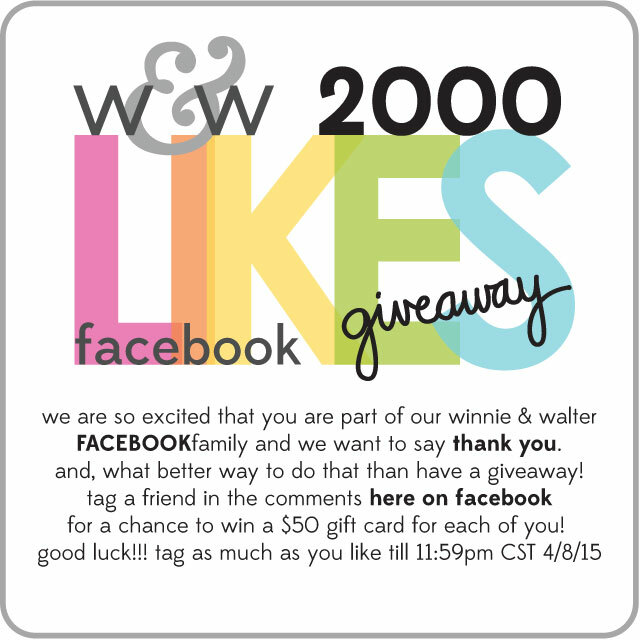 winnie & walter blog: Facebook Giveaway Alert! If you don't do Facebook not to worry as we will be having plenty of giveaways here on the w&w blog later this month (our April/May Release is at the end of the month)! CONGRATULATIONS on yet another MAGNIFICENT MILESTONE!!! Cheering and applauding your impressive popularity! Well deserved: you're top-notch n every way possible! awesome, thanks for the chance to win and congrats for the 2000!!! So happy to see such a fun, awesome and totally cool Stamp company reach this milestone!! Good for you - I am cheering loudly and happily!!! And I love Winnie & Walter - thanks for being so incredible!! !